Note: I posted this item two years ago. As I head to D.C. for the 50th anniversary of the March on Washington, I think it is even more relevant. Today, Aug. 28, marks the 48th anniversary of the 1963 March on Washington for Jobs and Freedom. But the seeds for that march were planted two decades before Martin Luther King’s “I have a Dream” speech. A. Philip Randolph, best known as the founder and head of the Brotherhood of Sleeping Car Porters, conceived a mass march on Washington in the early 1940s to rally the national black community to fight employment discrimination, particularly in the defense industry. In the fall of 1940, Randolph and representatives of the NAACP and the Urban League met with President Franklin Roosevelt at the White House, but the meeting netted little in the way of opening those defense plant doors. So Randolph and other black leaders formed a March on Washington Committee and scheduled a march for July 1, 1941. “As the day approaches for the all out, total dramatic march on Washington and demonstration at the Monument of Abraham Lincoln for jobs and justice in national defense and the abolition of discrimination in Government departments, interest, sentiment and enthusiasm for this movement continues to mount daily. 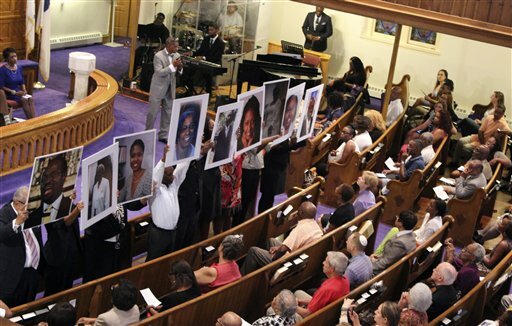 The task to mobilize Negroes throughout the nation for such and occasion is tremendous and herculean, but this is why it will be effective, powerful and unmistakable evidence of the Negroes’ determination to put a stop to discrimination against him on jobs provided by the money of the taxpayers in our country. Just the thought of tens of thousands of black folks demonstrating at the Lincoln Memorial gave Roosevelt pause. According to Quarles, he attempted to use several political weapons in his arsenal to get Randolph to call the march off. He described the plan as “bad and unintelligent” and enlisted the assistance of the First Lady, Eleanor, and New York Mayor Fiorella LaGuardia — both of whom were popular among blacks — to persuade the leaders to stand down. But Randolph wasn’t going away that easily. Plans for the march continued until just a week before the scheduled march Roosevelt blinked, signing into law Executive Order 8802, which barred discrimination “based on race, creed, color or national origin” in the defense industry and in government. The president also formed the Committee on Fair Employment Practices. Only then was the march cancelled. But Randolph still did not let down his guard. 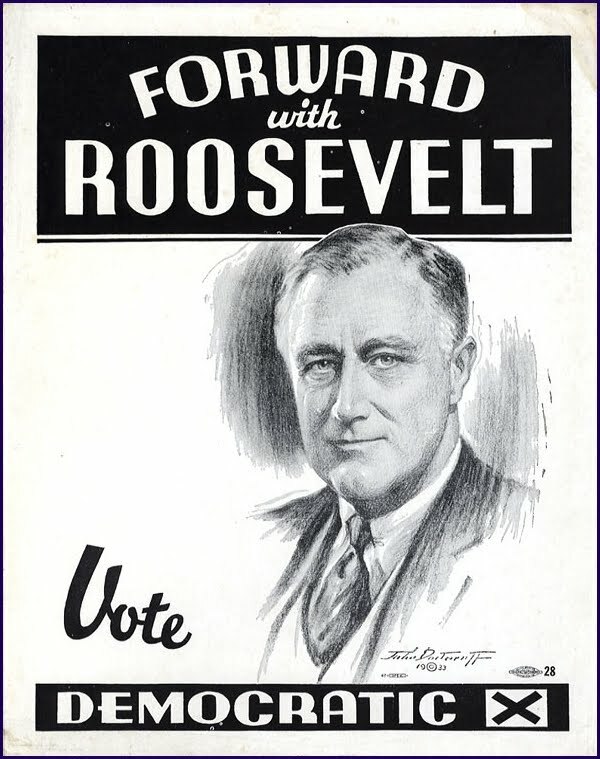 He declined an invitation to serve on Roosevelt’s fair employment practices committee and instead kept the March on Washington Movement alive to keep a watchful eye on the government’s progress. Sixteen years later, in 1957, at the request of Martin Luther King, Randolph was one of the sponsors at a Prayer Pilgrimage for Freedom in Washington, to bring attention to lingering civil rights issues. According to Quarles, Randolph gave a stirring address to a crowd of more than 20,000 gathered on the Lincoln Memorial on May 17 of that year. Then in 1963 it was Randolph who proposed and led the March on Washington (which was skillfully organized by Bayard Rustin) at which King delivered his “Dream” speech. A threatened hurricane forced the postponement of the dedication of a new Martin Luther King, Jr. National Memorial, which was to take place today in Washington. 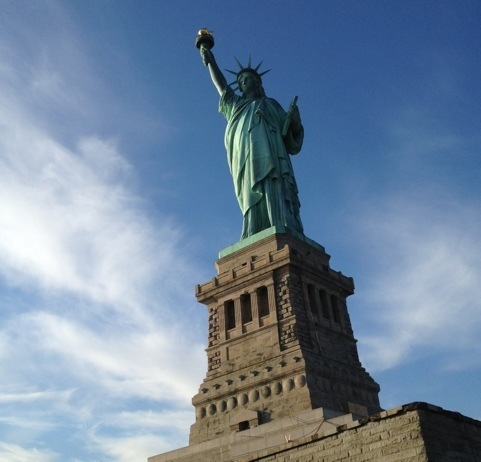 I trust the monument will withstand whatever Hurricane Irene has in store. My bigger hope is that the spirit of the movement for jobs and justice continues to gain strength. My nephew, actor Lamman Rucker was in Barbados last week and was the talk of the town. Several local news outlets and blogs noted his arrival. Nationnews.com did a nice write up on him. Check it out. 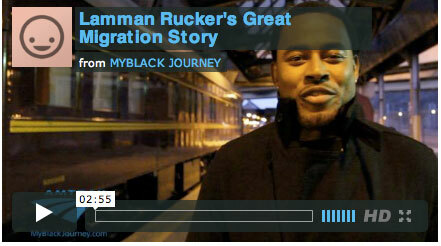 Lamman Rucker’s Great Migration Story from MYBLACK JOURNEY on Vimeo. *Editors note. Lamman mentions in the video that Ebenezer worked for the New York Amsterdam News. He actually spent most of his years in Harlem at the New York Age, the rival Harlem paper at the time. Of course, since this is a continuing journey and we don’t know the whole story, I can’t say definitively that he never worked for the Amsterdam News.